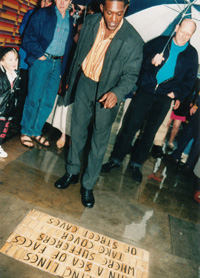 Manchester poet Lemn Sissay giving a reading of his specially commissioned poem, 'Flags', for the Northern Quarter, the creative area of Manchester. 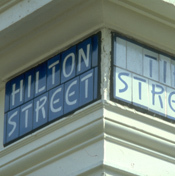 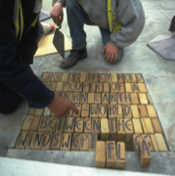 The poem is set into the pavement of Tib Street, in the heart of the area, using ceramic lettering blocks designed and made in collaboration with Majolica Work by Tim Rushton. 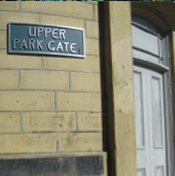 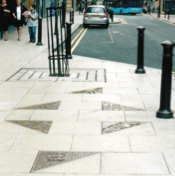 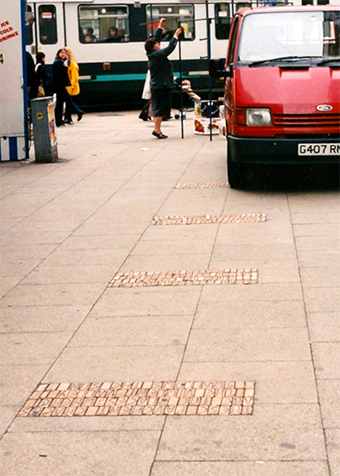 The blocks form verses of the poem which are embedded in the pavement at intervals along the full length of the busy street.